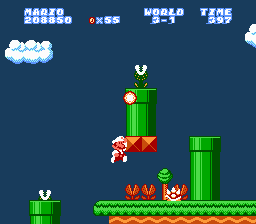 This SMB1 hack is the first of 10 SMB1 mini-hacks. 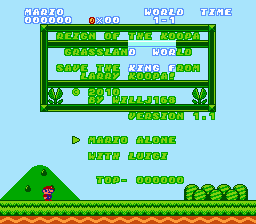 It puts Mario in the Grassland World and he would then come face-to-face with Larry Koopa. 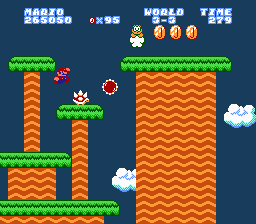 This is the first ever complete SMB1 hack with a Koopaling in it instead of Bowser (he will appear in the last hack of this series). 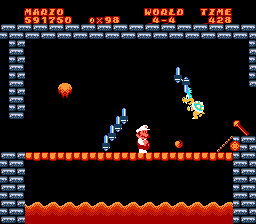 Each hack will have 4 worlds in it. And the best part: Superior graphics, all done by me. This is primarily a graphics/storyline series of hacks. Auto-scroll is also utilized here.